Fuel pump that will fit the 318 and 420 lawn and garden tractors. This fuel pump is the new four port design. The older style pump was a three port design. 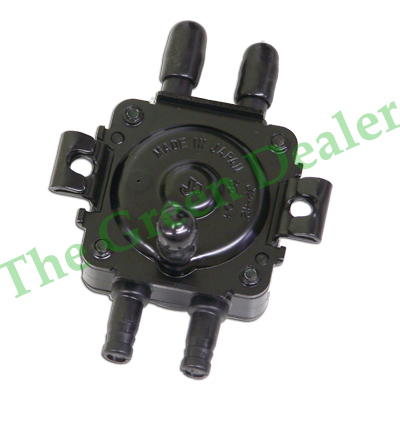 This four port is correct for your tractor and replaces the older three port pump. This part is new in the box and comes with the standard 90 day John Deere parts warranty.